In 2001, Chris brought together an extended line up of the Substance club night house band to perform a live session on Radio 1’s One World Show following a series of well attended UK shows. The band continued to perform at the monthly club night on a regular basis through to 2006. 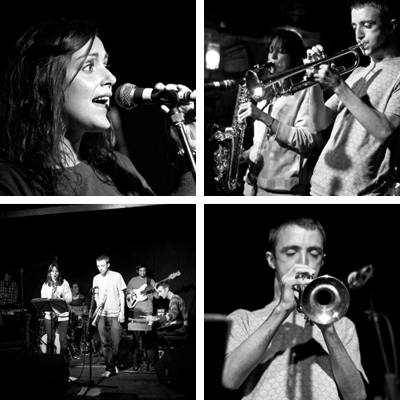 In 2008, Chris was invited to join the line up of a new live act, Maylight, a BBC New Music Award winning 7 piece ensemble featuring vocalist Lizzy Parks (Tru Thoughts) and pianist Rob Barron (Nostalgia 77 / Jay Electronica). Within months of forming, the band performed shows at Birmingham Symphony Hall’s new live venue and London’s Royal Festival Hall to a capacity crowd as part of London Jazz Festival in addition to summer festival shows. The band released their debut album ‘Almighty’, on BBE Records in early 2016.